There is no artist on earth that has a better understanding of colour than Mother Nature! This entry was posted in Life, society and tagged daily quip, differences, humour, inspirational, mother nature on December 11, 2018 by quiall. 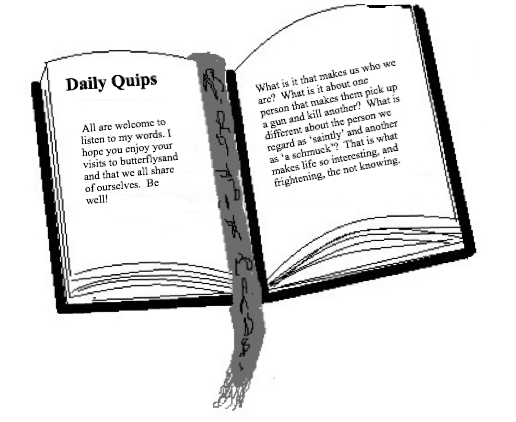 This entry was posted in Life, society and tagged challenges, daily quip, inspirational, mother nature, perception on October 11, 2016 by quiall. 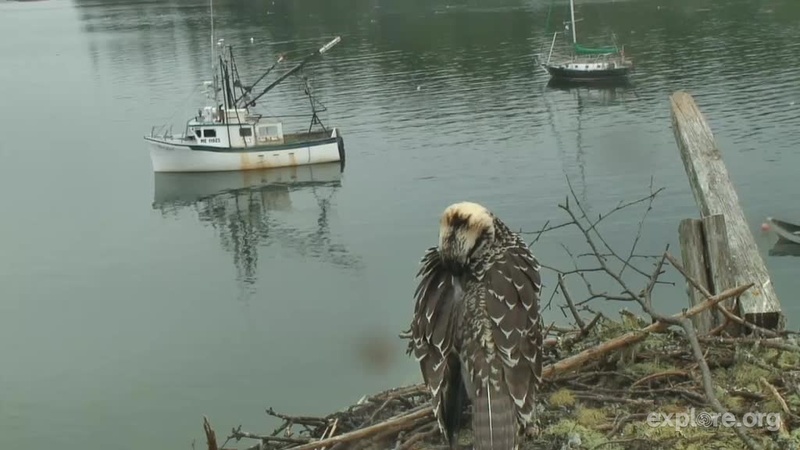 A few weeks ago I came across a live WebCam of a family of Osprey in Maine. I managed to start watching perhaps a few days after three chicks had been hatched. There was definitely a pecking order even at that tender age. I honestly believed that one would not make it because she was so small. With diligent parenting however all three survived to maturity. It was a very large nest but Osprey are very large birds. According to Wikipedia they can grow to 60 cm (24 in) in length and 180 cm (71 in) across the wings. So with five adults there was not a lot of room to stretch their wings. Eventually the largest offspring left the nest and then the second bird. One was still being fed by the parents. However, I think they believed that their parenting requirements were over and they left. Unfortunately one bird had not taken flight. Its siblings would sit on a boat mast within sight of the nest and call to her. She would respond, even spread her wings, but she would not take flight. They would also fly to the nest as if to encourage their sibling. Sometimes they brought food. But all day the last Osprey would look out over the water, preen her feathers and sit. Every now and then she would spread her wings as if to fly. It is my fervent hope that she will find what she needs to cast off her earthly chains and be free. It seems one of the parents has returned. With food! The family is being very supportive but at night she is alone. I tuned in very early and she was hunkered down in the middle of the nest. It is full daylight again and she is once more perched on the edge of the nest. Her head swivels back and forth, perhaps seeking her family. I am sad, wanting to help but incapable. This is a wild animal and she must be allowed to follow her destiny. Well it has been several days and each day has been pretty much the same as the one before. Our little girl spent the night hunkered down in the middle of the nest, alone. During the day she was perched on the edge of the nest looking out over the water, but then her family returned. They brought her food and perhaps encouragement. I don’t know how the dynamics of a bird family work. It is enough to bring a tear to one’s eye. Something has to change. It happened in a split second. I was reading my morning emails while I kept an eye on the Osprey nest. One parent had returned with a rather large, and still moving, fish. The young one was on a large plank that juts out from the nest. There was a little preening, a little shrugging and then her head went down and she left. It was the most beautiful thing I’ve ever been privileged to witness! She flew! (Okay in ornithological circles it’s called fledging. I learned something new!) For a few minutes she remained in sight flying around the boats in the bay and then she was gone. Throughout the day I checked periodically to see if she ever returned and she did not. However when I checked in the middle of the night, there she was in the middle of the nest asleep. Mother Nature is never wrong. The Last Osprey needed a little more time to be ready and now she is acting on the instincts of her species. This beautiful creature has touched my heart and I am better for it. This entry was posted in Life, society and tagged fledging, mother nature, nest, osprey on August 10, 2014 by quiall.